Vocal consists of twin folding mucous membrane which is located across the larynx. Vibrations of vocal cords during speech produce voice. If one or both of the vocal cords became stuck and are unable to move, then vocal cord paralysis occurs resulting in difficulty in speaking. When one side of the vocal cord only is paralyzed then it is known as unilateral vocal cord paralysis. This is more common than bilateral vocal cord paralysis in which the entire vocal cord is involved. 6) Possibility of pneumonia as food is aspirated into the lungs due to poor closing of the vocal cords. 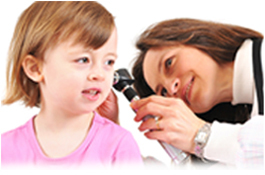 Physician or ENT specialist whom you are consulting will make an initial diagnosis based on your symptoms. A detailed investigation will be made using an endoscope which is an instrument with a light source on one end which can be used to view the functioning of the vocal cord while speaking or at rest by a speech language pathologist or an otolaryngologist. Unilateral vocal cord palsy is first treated behaviorally by a speech language pathologist. In this method of treatment, the patient with the help of the therapist tries to find out the correct position for better voice and tries to improve loudness and breadth support. Experience has shown that voice therapy is a very useful and convenient treatment option to be followed till the disorder is finally diagnosed and dissolved. Medical treatment includes muscle nerve transplantation and medialization therapy. In medialization therapy paralyzed vocal cord is brought to the midline. Another method is to inject medications to increase the size of the paralyzed vocal cord. In bilateral vocal cord palsy conventional treatment options as described about are initially followed. If they are found to be inadequate to solve the problem then surgical procedure is carried out to bring one or both the vocal cords more close to the midline. In surgical procedure, a tracheotomy also which is an open passage for the passage of air to the lungs without any obstructions during the post operative period.